Welcome to Wow! I hope y'all are enjoying some pretty spring weather like we are. Life has been a bit crazy lately with running the roads to visit my mom. Mr. Savvy and I both went on Sunday and took her out for some fresh air since it was so gorgeous out. She really enjoyed feeling the warmth of the sun. I shared the resident geese that walk around the grounds on instagram. I didn't even think about no one cleaning her clothes she wears until she called me and said the staff had put them all in a plastic bag and she was in her last outfit so I picked them up and cleaned them and took them back. The clothes really aren't dirty since all she does is sit in a wheelchair all day. Now I'll just take the clothes they call dirty with me each time I visit and then bring them back clean so she never worries about not having clothes to wear. She's just taking each day in stride and can't wait to go home. After writing the above my sister and I spent time with my mom today and had a nice visit. DIY floral table runner by Bird's Party. 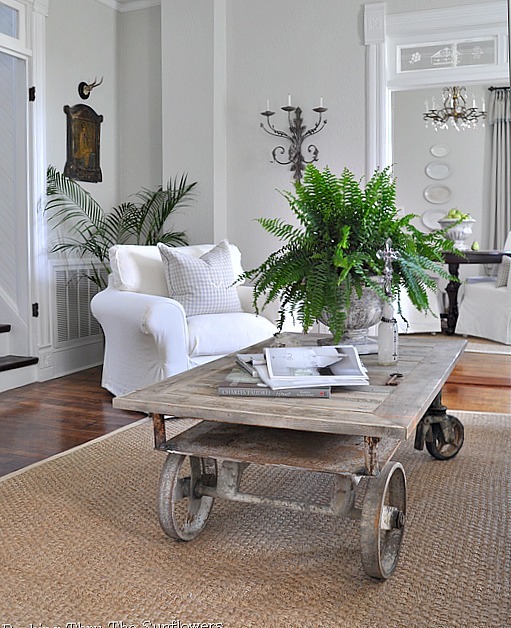 Fabulous industrial cart turned coffee table by Peeking thru the Sunflowers. 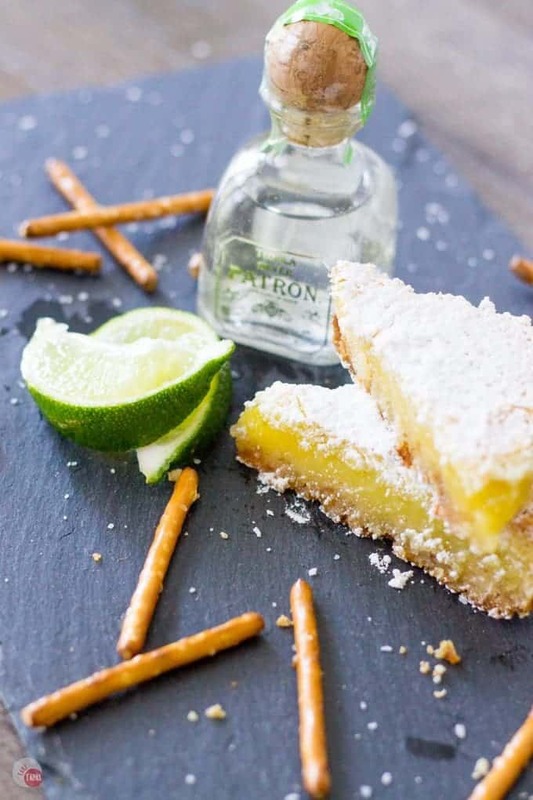 I may need to try these margarita bars by Take Two Tapas. Wishing y'all a Happy Easter! Wonderful features this week, Kim. Always a delight to join your party. Happy Easter to you also Kim and thanks for being such a gracious hostess! Hope your mom is able to come home soon Kim! Happy Easter! Thanks so much for hosting. Wishing you a Happy Easter! so glad your mom's doing well, have a wonderful Easter, Kim. thanks so much for hosting your party each week! I love Des' living room. I hope your mom is feeling so much better. Hope your mom is able to leave that facility soon! Loved the features...thanks for hosting and have a very Happy Easter! I hope your mother stays comfortable and I know she looks forward to your visits. Happy Easter! And thank you for hosting! Thanks for the party, Kim, and happy Easter! Thank you Kim for your 321st Wow Us Wednesdays, always appreciated and enjoyed. Thank you for hosting the link-up. Happy Easter! Great party, Kim! Thanks for hosting!! Many recipes & tutorials are being pinned -- too many great things to try!! What a great party, Kim. I'm loving the linkups. Thanks for hosting! Thanks for the party, Kim and hope your Mom is able to be home in time for Easter. Happy Easter! Thank you for hosting!